IF Myanmar presented a test of the world’s pledge to stop atrocities and protect civilians, then it is difficult to recall a clearer failure. The country’s military has expelled hundreds of thousands of Rohingya, a minority group, in full view of the world. The violence was preceded by months of warning signs. Myanmar, a poor country with few allies, proceeds largely unimpeded. Critics of the international response argue that world leaders made bad choices. Defenders say those leaders had few, if any, good choices to make. Research on atrocity prevention suggests an even grimmer truth. Global action or inaction is not determined by the severity of the violence or the idealism of world leaders, it finds, but by a set of conditions that have as much to do with protecting the international system as protecting civilians. Myanmar reveals that the world’s promise of “never again” applies only sometimes. But, the Rohingya are only the latest in a string of victims to learn this lesson the hard way. Early on, Myanmar officials said they were merely responding to terrorist attacks, not pursuing ethnic cleansing. This claim, though contradicted by reams of evidence, exploited the single biggest loophole in international laws and norms against atrocities: Sovereignty often prevails. The idea that states have the right to act within their borders and protect their interests dates back centuries. It is, in many ways, the core principle around which the international system is built. When a state invokes sovereignty, as Myanmar did by calling its actions a domestic security matter, it becomes far harder to organise action. “We can talk about responsibility to protect, we can talk about living in an age of human rights, but this is a system of states,” said Kate Cronin-Furman, a Harvard University fellow who studies mass atrocities. When the Philippines launched a “war on drugs” that killed thousands, foreign leaders protested but were unable or unwilling to override what President Rodrigo Duterte described as “internal policing decisions”. In such cases, the world has two options. It can override sovereignty, imposing change from the outside. Or, it circumvents sovereignty by persuading or pressuring actors within the country to effect change. 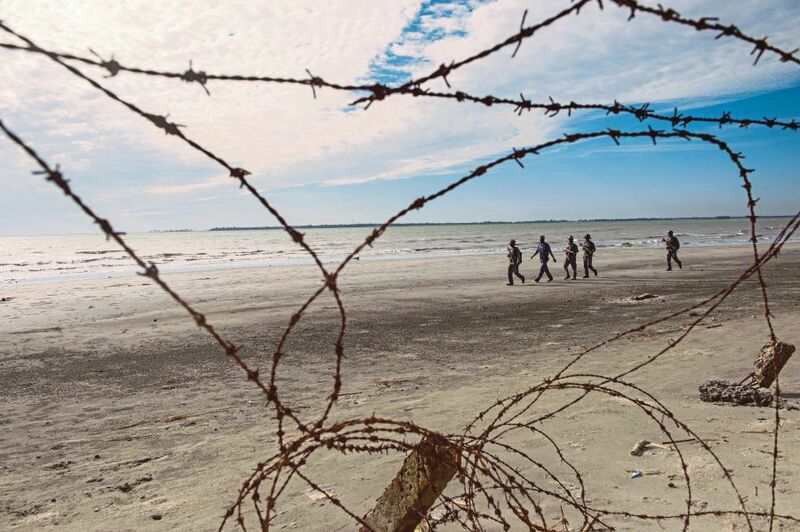 With Myanmar, conditions are ripe for neither. Though discussion often focuses on halting genocides and crackdowns already in full swing, the greatest and easiest successes may come in preventing them from ever occurring. Leaders and institutions ultimately care more about pressures at home, where stakes are highest and most immediate, than those from abroad. “State forces commit atrocities when they have strong incentives to do so,” Cronin-Furman said. International action tends to work only when it is perceived as a matter of global consensus, which in practice is determined by the great powers. This has created what Roland Paris, a University of Ottawa political scientist, termed the “mixed-motives problem”. Because great powers pursue altruistic missions when it is in their self-interest, those missions invite charges of hypocrisy. As a result, the powers need local or regional actors to invite them to act, giving the mission legitimacy. In Libya, for instance, intervention required the blessing of the Arab League. This elevates regional actors into “gatekeepers”, whose approval is crucial for coordinating international action, according to research by political scientists Alex J. Bellamy and Paul D. Williams. Though a number of Myanmar’s neighbours have condemned the violence, they are wary of going much further. India, Turkey and other nearby countries face international criticism for crackdowns against what they consider domestic terrorists. Even if these states do not believe Myanmar’s claims of rooting out terrorists, they fear setting a precedent that could be turned against them. The Rohingya themselves may be the final point of failure. International politics, though presented as a realm of pure values and reason, is still politics. The Rohingya, through no fault of their own, like many victims worldwide, are too poor and powerless to take part. There is no Rohingya lobby to push their cause in world capitals or within complex foreign bureaucracies, as Kurdish groups were able to do. Nor is there an organised Rohingya diaspora that can mobilise student groups and social media campaigns.